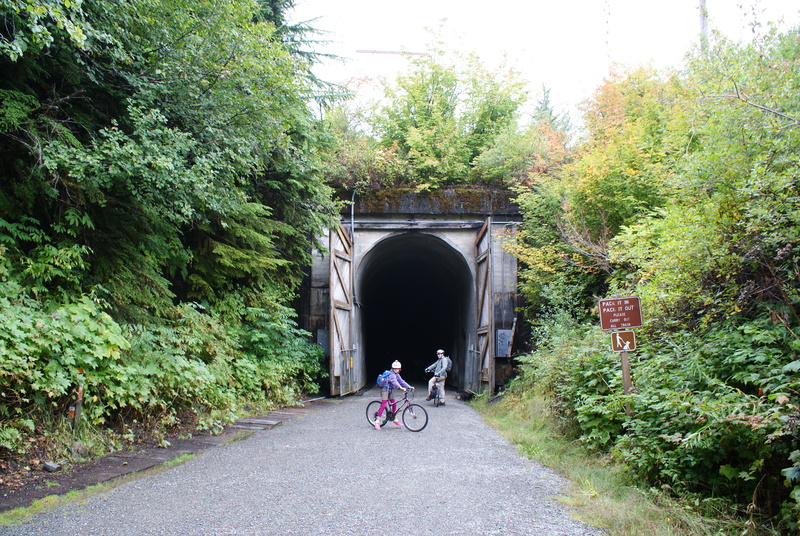 We had the chance to go for a family outing today, and my husband suggested biking through the Iron Horse Tunnel at Snoqualmie Pass. The boys had done this last year, so Annika and I were game to try it, too. 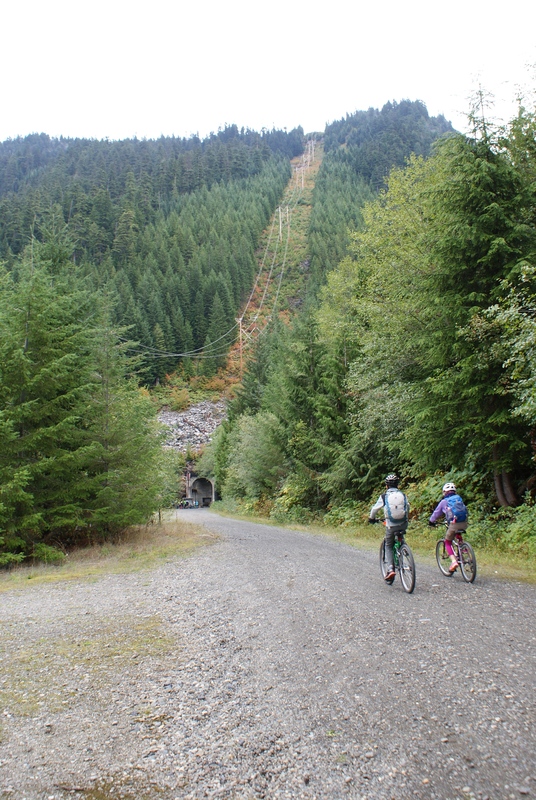 There is a large trailhead off the Hyak exit on I90, and it’s just a quick ride from there to the tunnel. 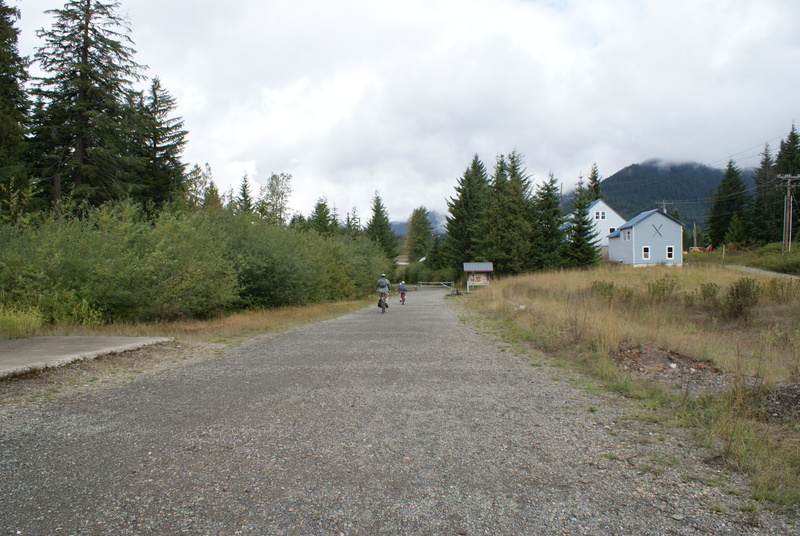 What used to be a railroad route is now a path for bicyclists and walkers. It’s practically flat, nice and wide, and perfect for kids and adults of all abilities. We wore headlamps on our helmets, and they gave plenty of light in the pitch-black tunnel. It’s cold and drippy inside; I was glad to have brought gloves and layers, plus a neck gaiter to go up around my ears. Lots of families were out on this day, so we were seldom alone in the long, straight tunnel. 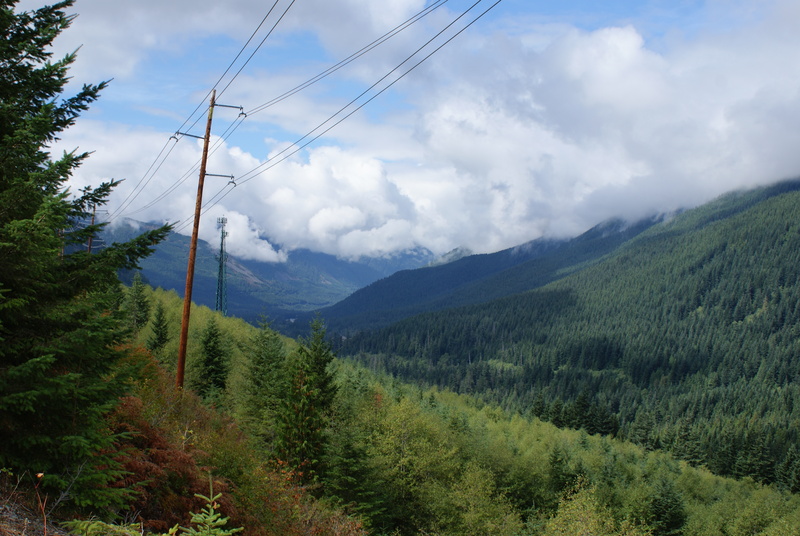 Once you come out of the western portal, you can see glimpses of I-90 in the valley. There are picnic tables and restrooms at both ends of the tunnel, making it more comfortable for families. The sign at the west end says it’s 2.7 miles back to the trailhead, so that makes it just over 5 miles round trip. This was a cool experience for us, and I am really glad we went. I think it would be the perfect hike for those hot summer days. 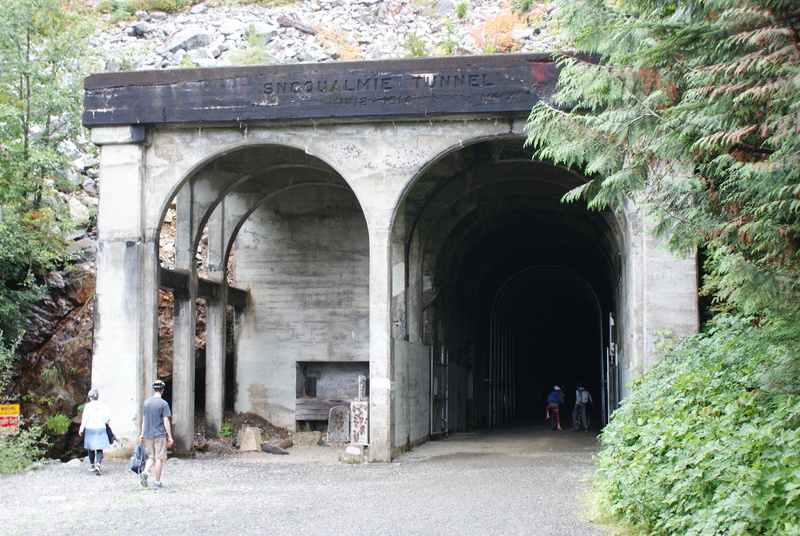 The tunnel is open from May 1 through November 1. You’ll need your Discover Pass to park; there is a kiosk at the trailhead if you need to purchase one. Read more about the trail on the WTA site.